Brighton Hospice volunteers are extremely valuable, and even vital, to the care of our wonderful patients and their families. At Brighton Hospice, we have three main types of volunteers. Companion volunteers visit with patients once or twice a week and help provide respite for their family members. Vigil volunteers spend time with patients during their final days or hours of life. During this time, volunteers watch over the patient and provide a calming presence for them. Bereavement volunteers stay in contact with the family members of patients who have died, checking up on them and being sure they know about the bereavement resources available to them. 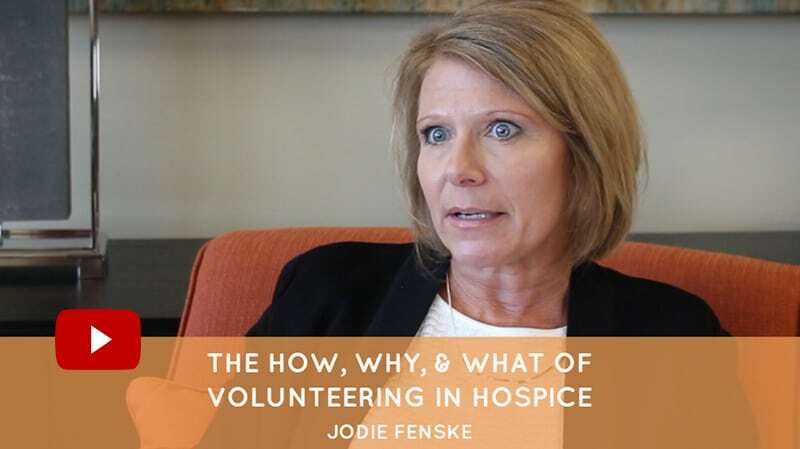 Why become a hospice volunteer? Jodie, a Brighton Hospice volunteer, explains why she did, and what it’s like to be a volunteer in this short video.